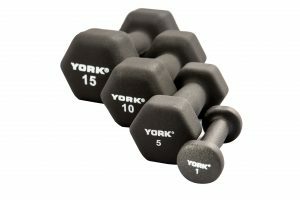 The York Barbell 40 lb aerobic weight set is a favorite for home gyms and commercial fitness clubs alike. 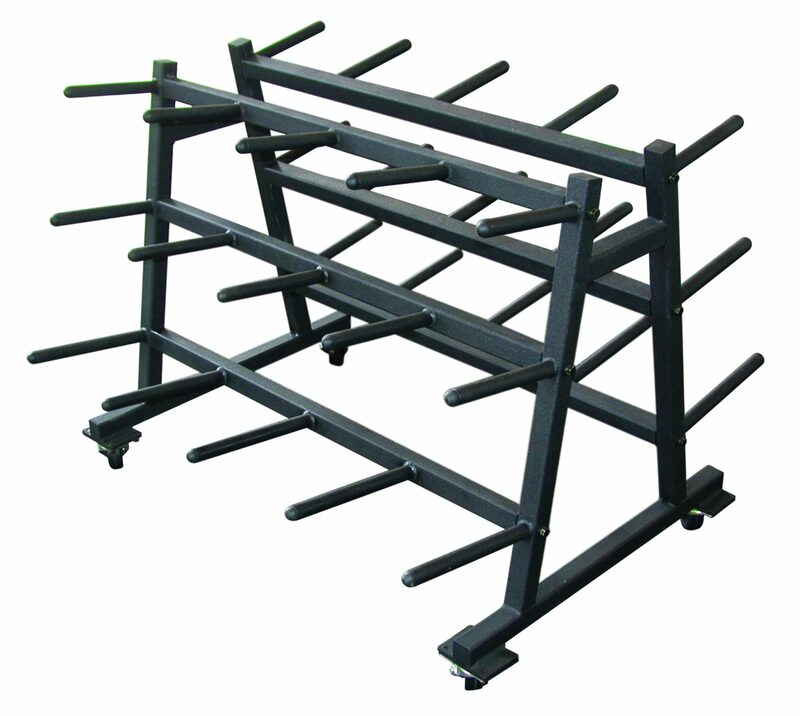 It comes with everything you need to get started: a 4’ bar that weighs 3 lbs, a pair of one inch spring clip collars and weight plates in the following sizes: two 10 lb plates, two 5 lb plates and two 2.5 lb plates. 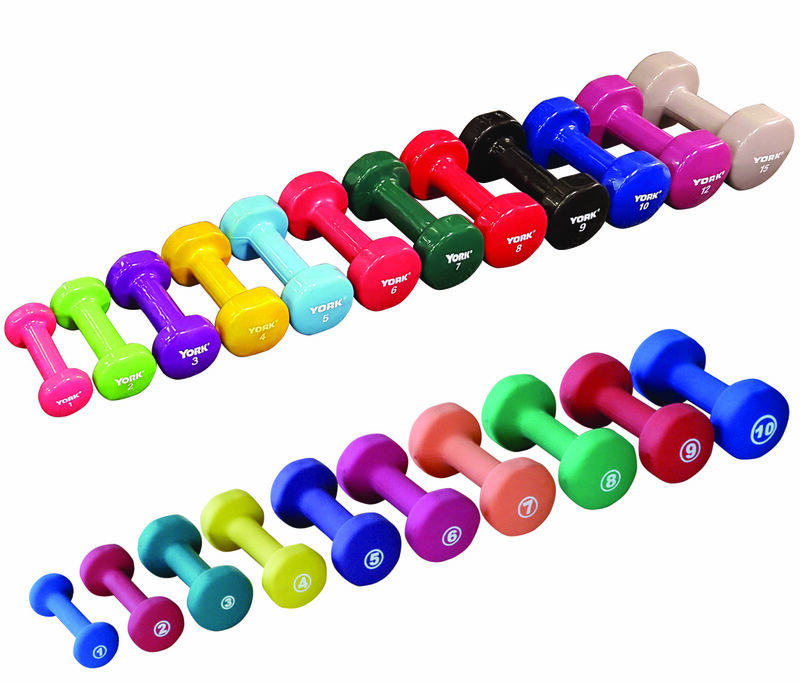 This aerobic weight set is perfect for home gyms, as it does not take up much space and the price for this set cannot be beat! It is perfect for beginners. 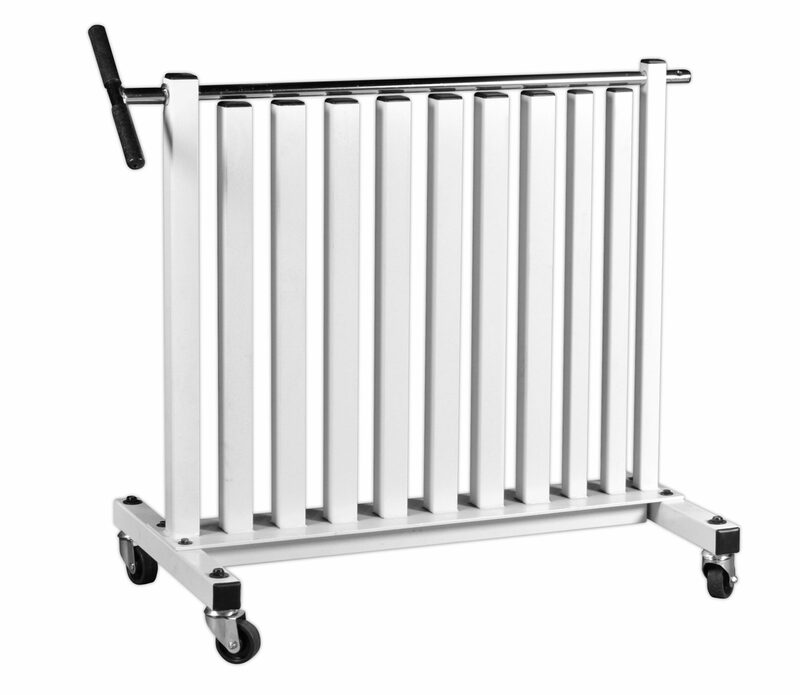 The plates slide easily onto the bar and the collars affix snuggly to keep the plates from sliding around during use. The plates are covered in thick vinyl and are filled with cement sand for heft and stability. 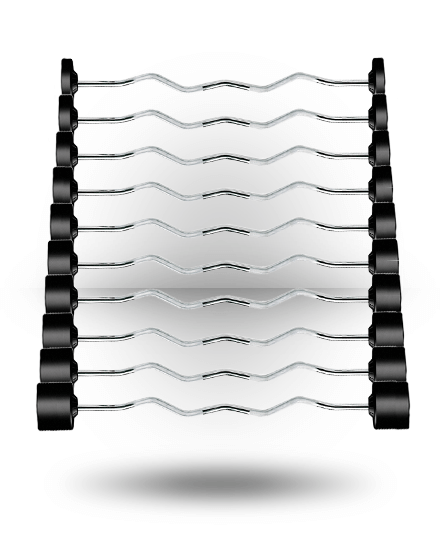 The multiple sizes of plates included allow for a number of different combinations of weight on the bar to customize your workout to your individual needs, or to the individual needs of the gym members in your fitness club. 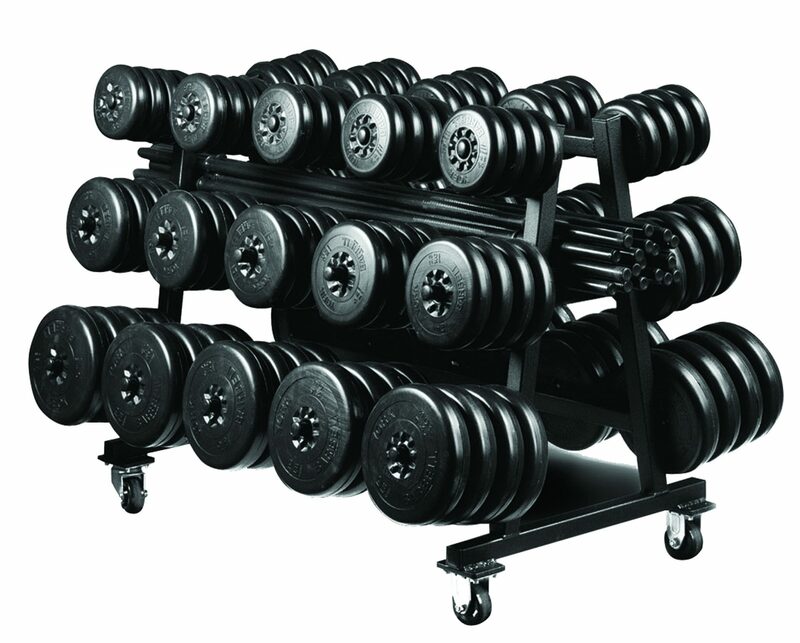 York also offers an aerobic weight set club pack, which is ideal for fitness clubs as it includes twenty of the 40 lb aerobic weight sets and a mobile rack to hold all twenty sets, including the bars. 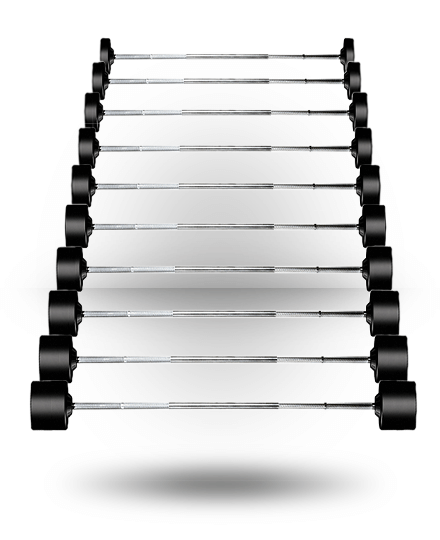 The wheels on the bottom of the aerobic weight set rack make it very easy to relocate the entire set up to any spot in the gym at any time. 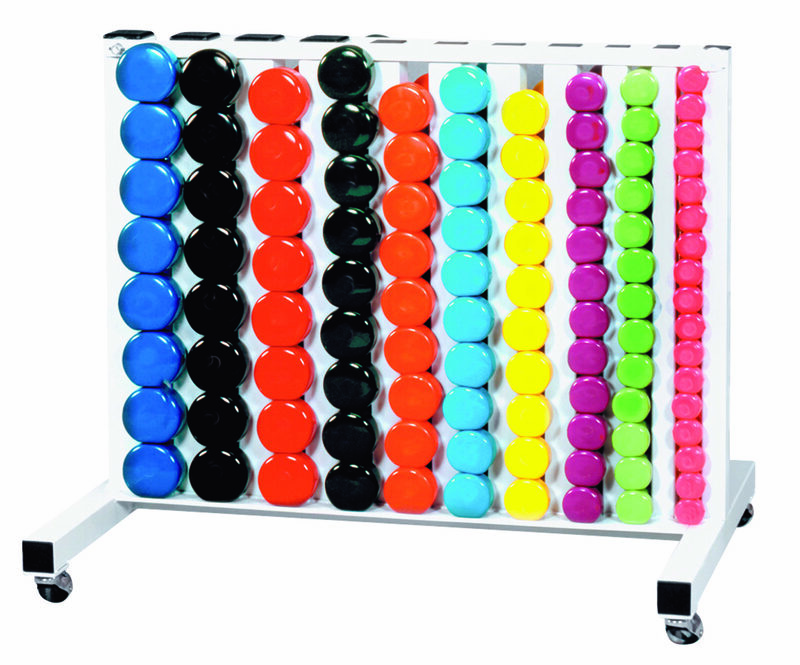 It is double sided, allowing for easy access by multiple gym-goers at one time and easily displays the included twenty aerobic weight sets. 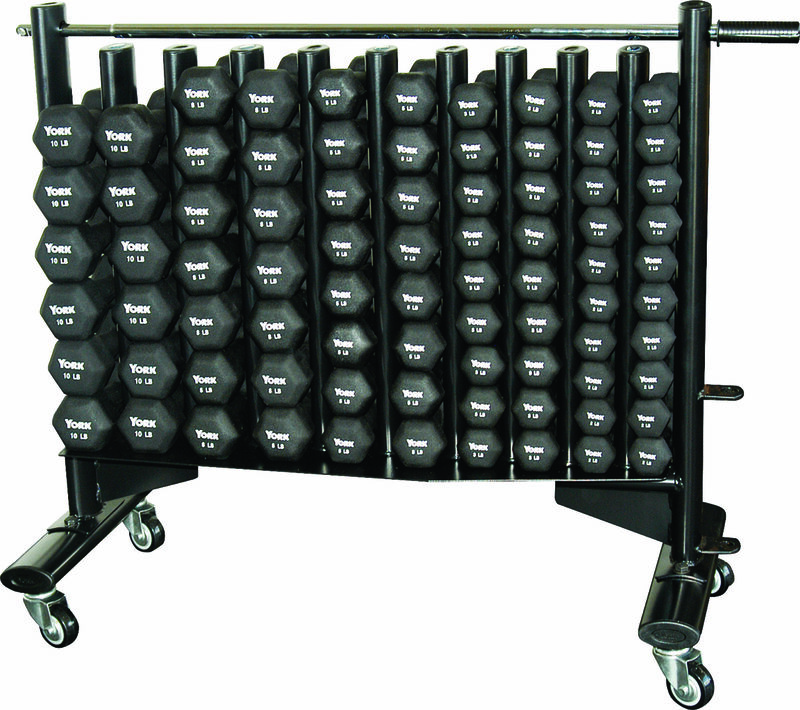 The aerobic weight set club pack is a very economical way to outfit up to twenty lifters at the same time. 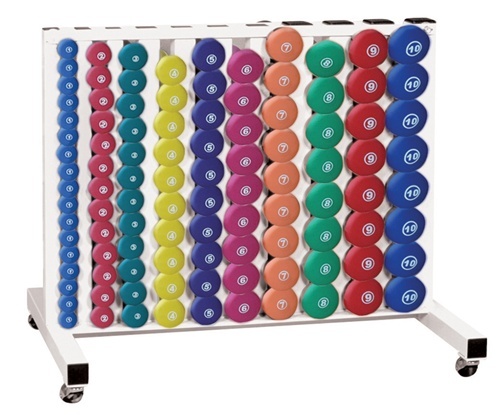 So whether your gym is residential or commercial, York has the aerobic weight set for you! 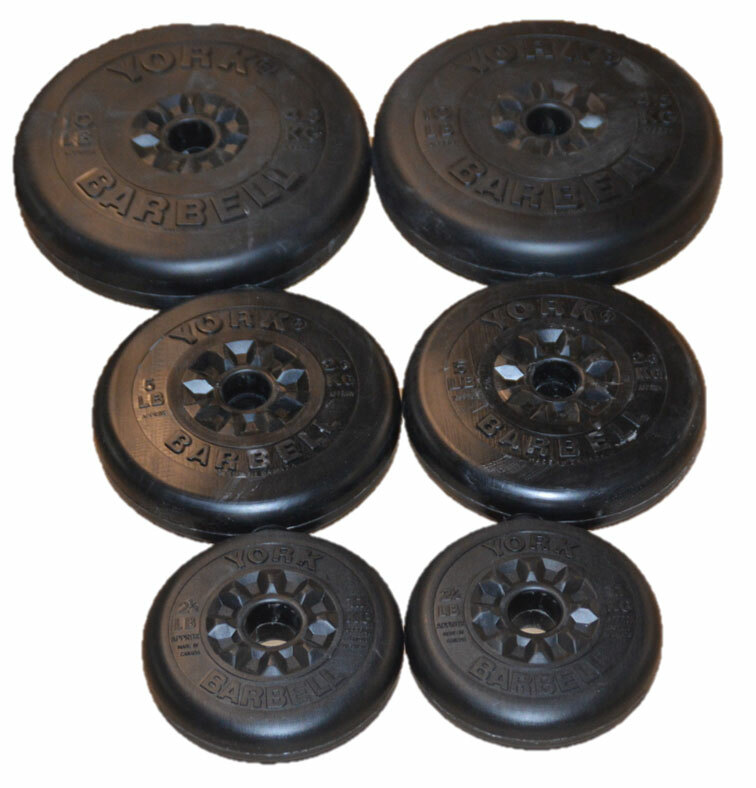 If you have any questions about our Aerobic Weight Sets & Equipment or any of our products in our entire inventory of gym equipment, contact York Barbell today!